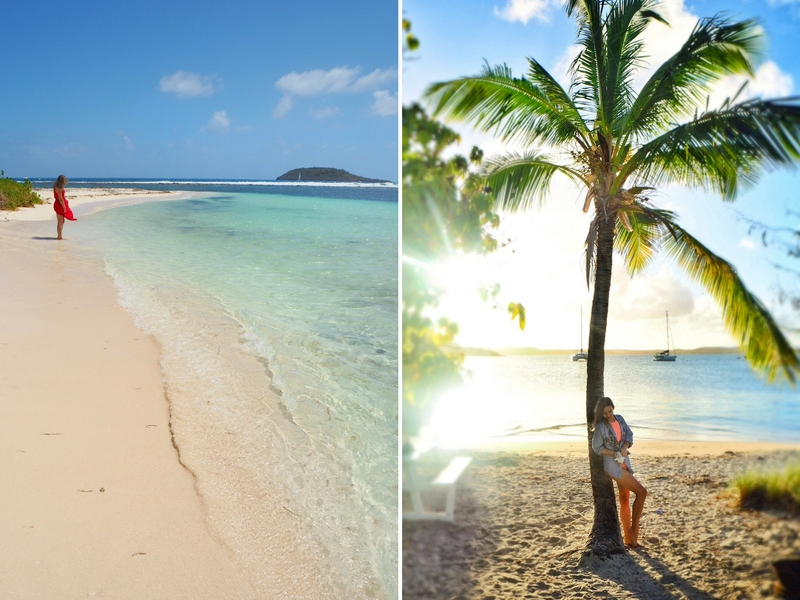 What is the first thing that comes to mind when you think about the Caribbean? 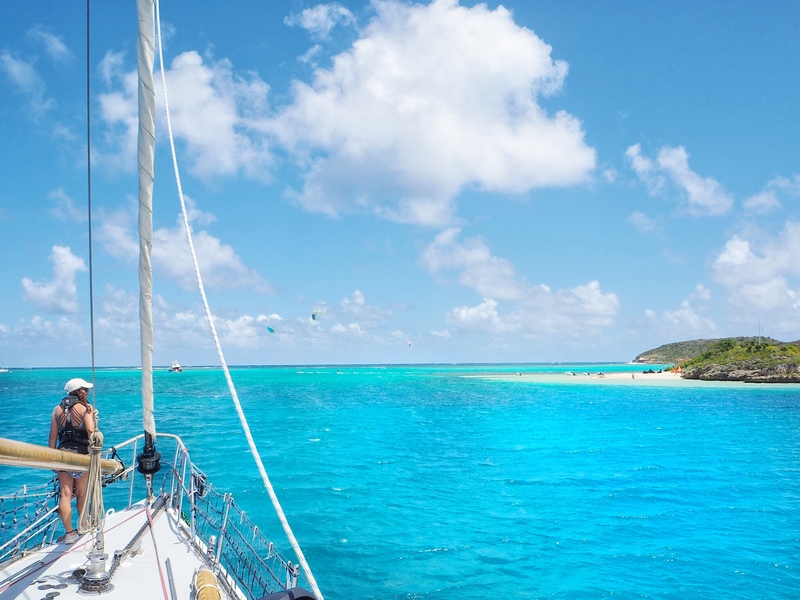 The delightful, yet slightly cliche, sight of white-sand beaches stretching for miles and palm trees gently swaying in the wind was the first thought that popped into my head when an email from Sperry, inviting me on a sailing adventure in Antigua, appeared in my inbox. Turns out the reality is quite different – and it was thanks to Sperry that I learnt to look beyond the beautiful landscapes and see what’s on the inside – a plastic pollution issue that’s slowly eating up the beauty of our oceans, and of our planet. 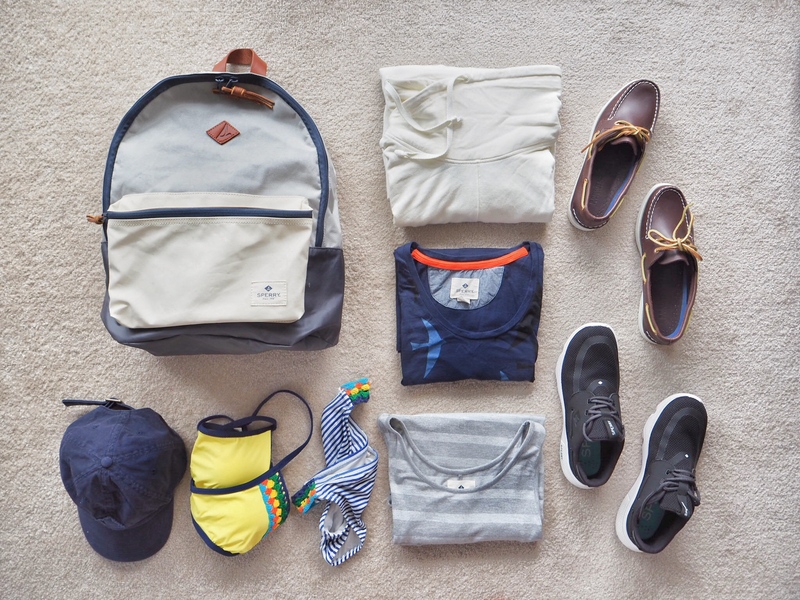 My American readers are no doubt familiar with Sperry – the boat shoes and sea-inspired clothing brand with 82 years of marine tradition, delivering the promise of ocean adventure and discovery. 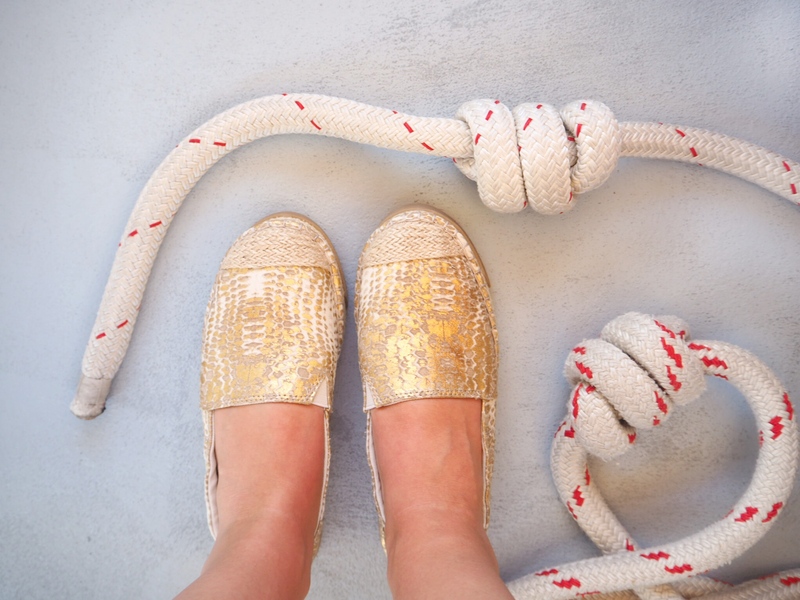 Their close connection to the sea and dedication to ocean conservation led Sperry to team up with Pangaea sailing programme, run by Emily Penn, in a bid to bring attention to the plastic pollution issue affecting our oceans. 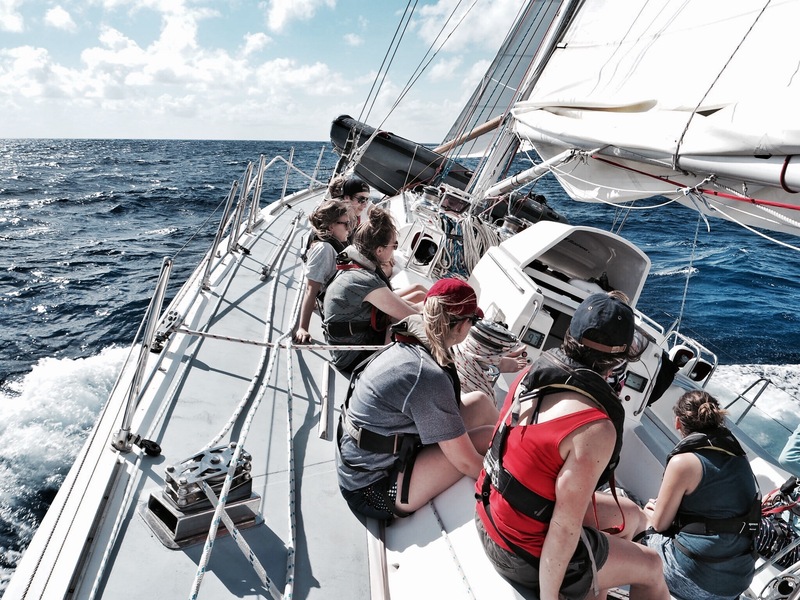 A sailing expedition that travels all around the world carrying out scientific research, Pangea Exploration aims to connect people with the ocean to strengthen the health of the marine life. 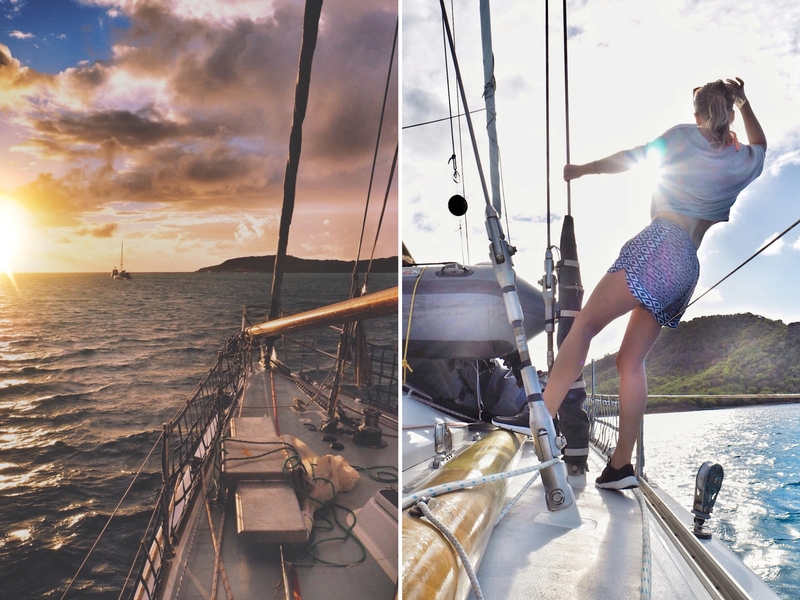 I was one of 6 lucky bloggers that were flown all the way to sunny Antigua to join Sperry and the Pangea crew on board of the 72ft Sea Dragon, the home of Pan Explore’s marine expeditions. It was my second time sailing the seas following my summer adventures in Croatia last year. With 13 of us on board and our bags filled with every blogger’s favourite travel companions – cameras, laptops and drones, things were getting rather cosy but I loved every minute of it! Waking up at sunrise to the sight of emerald lagoons and tiny islands speckled across the horizon, the water changing its colour to yellow as the sun slowly rose into the sky, was nothing short of magical. The trip was a perfect combination of adventure with a lesson on respect and appreciation for our oceans. 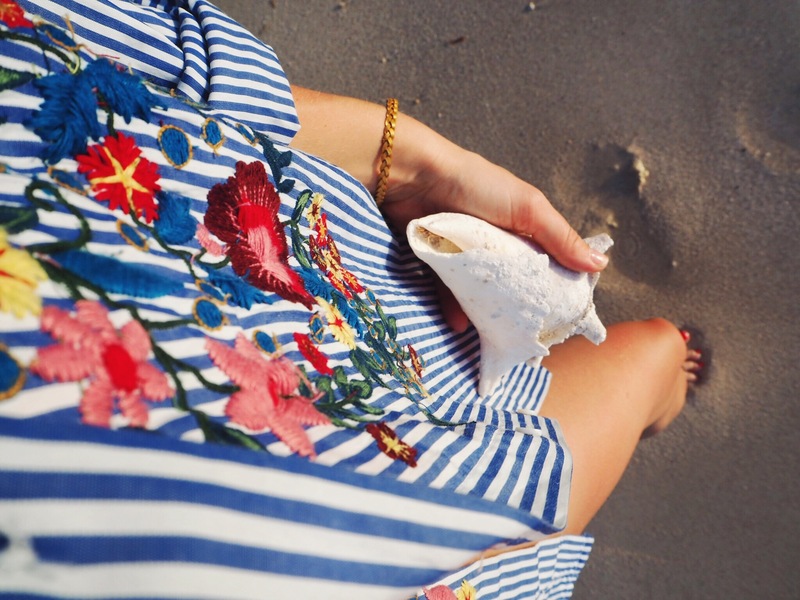 Keep reading to find out how to enter Sperry’s competition and win goodies worth £200! Our days would start with delicious breakfast and a cup of coffee which I’d always sip on the deck, my face towards the sun, taking in the smell of the salty air and rocking to the gentle sways of the boat. 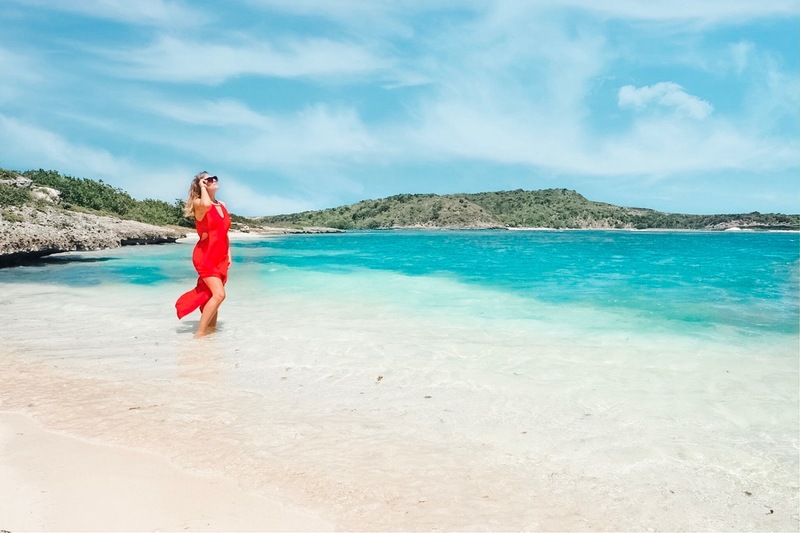 A dip in the ocean would follow a day filled with sailing along Antigua’s coastline, snorkelling, sunbathing and, of course, taking part in brainstorming sessions focused on plastic pollution, ran by the lovely and extremely knowledgeable Dr Stephanie Wright, a marine biologist. 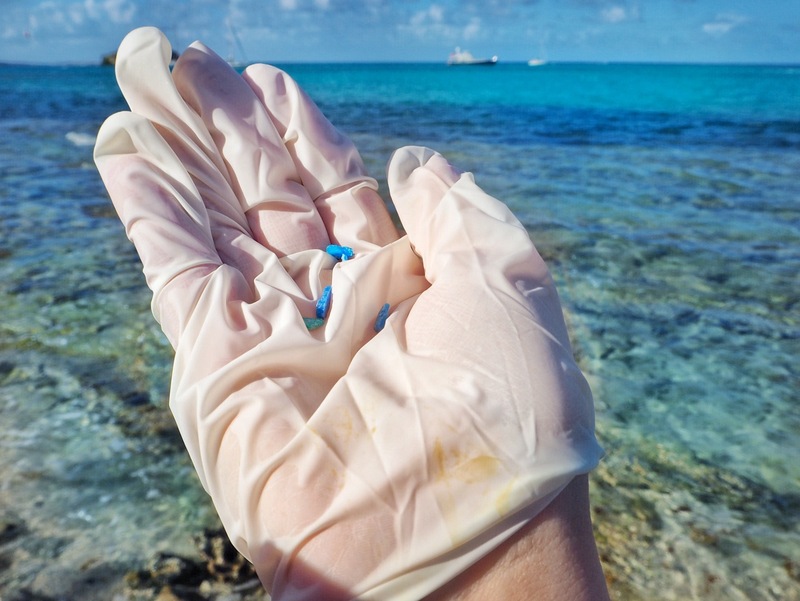 This is when the reality of the plastic problem, particularly microplastics, began to sink in. The oceans are responsible for about 80% of all oxygen produced in the atmosphere. Our life basically wouldn’t exist without healthy oceans. And yet, with over 60,000 plastic bags used every 3 seconds (less than 30% of which is recycled) and 3 TRILLION plastic particles floating in our oceans, we don’t quite seem to grasp the impact that our lifestyle choices have on the marine environment – and, subsequently, on our own lives. Expectations vs reality? During the beach cleanup, we’ve collected over 6 bags of rubbish. The biggest issue, as Dr Wright explained, are microplastics – tiny pieces of plastic particles less than five millimetres long. They are so small that you might be soaking up the sun on the world’s most pristine beach, without realising that the sand you’re lying on is filled with thousands of tiny pieces of plastic. In fact, in Hawaii’s Kamilo Beach alone, for every 100g of sand, 3g is plastic. 80% of marine pollution comes from the land – once it enters the water it becomes wildly dispersed over time. Basically, plastic can travel for miles and spread across the world’s oceans, reaching even the most isolated mid-ocean islands. On the third day of our trip with Sperry and Pangea, we took part in a beach clean-up. 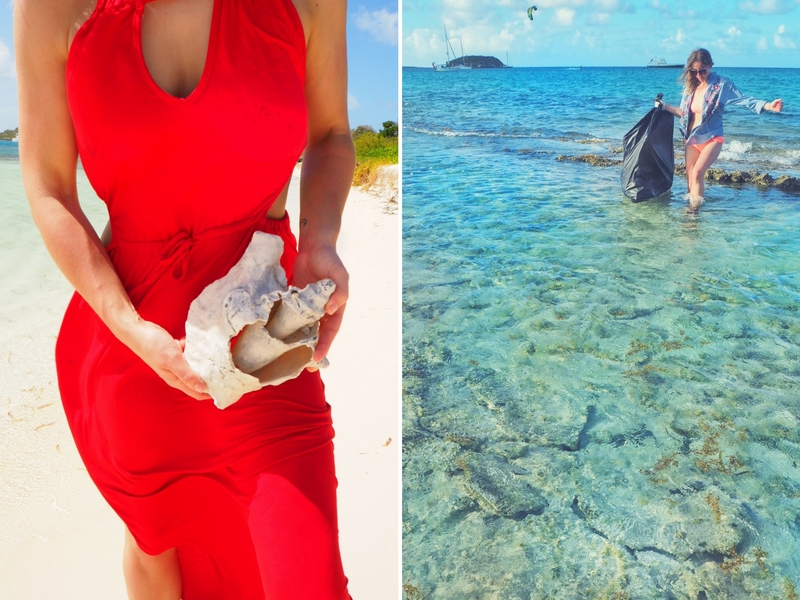 Surrounded by emerald waters of the nearby lagoon, the tiny strip of beach near Antigua’s Green Island was filled with plastic – from bottles to micro-plastics spread across the sand, we’ve collected over 6 bags of rubbish – all this only 2 months following a throughout beach clean up. The plastic pollution issue became so severe that scientific experiments detected the presence of plastic fibres in the air, in our food and, subsequently, inside our bloodstream. The latter is the result of fish and animals living at the seabed feeding on microplastics, mistaking it for plankton. I can’t help but feel sorry for all the little sea creatures – they have to suffer because of our ignorance. The good news is, it’s not all doom and gloom: there are things we can start doing right now to minimise plastic pollution and its impact on the environment. First things first – spread the word. The reason Pangea is making such a huge difference is because they focus on connecting people directly with the plastic issue. Speak to your friends and family – the change begins with you. Become more aware of the plastic present in your life. A single plastic bottle or a supermarket bag won’t stay in your life for more than a couple of minutes, sometimes even seconds – but it takes a minimum of 450 YEARS for plastic to decompose. Try switching to reusable, non-plastic bottles or bottles made from recyclable/biodegradable materials. Something as simple as bringing a canvas bag to do your grocery shopping can make a difference. Look into recycling schemes in your neighbourhood to make recycling effortless and easy – this way you’ll be more likely to stick to it! 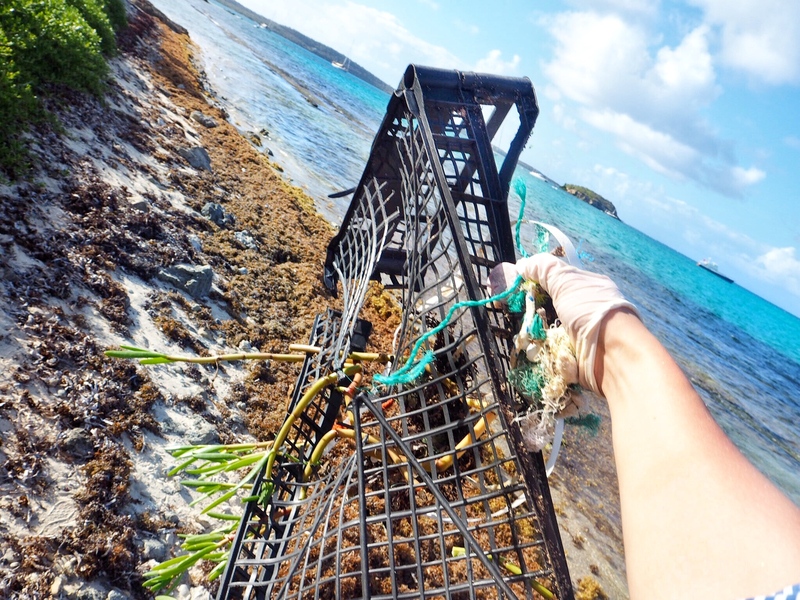 If you really want to get involved, why not organise a beach or a park cleanup? The effort to keep our beaches pristine begins with us. Now, the great thing about Pangea Exploration is that anyone can join them on board – just view their expedition schedule for the upcoming months. 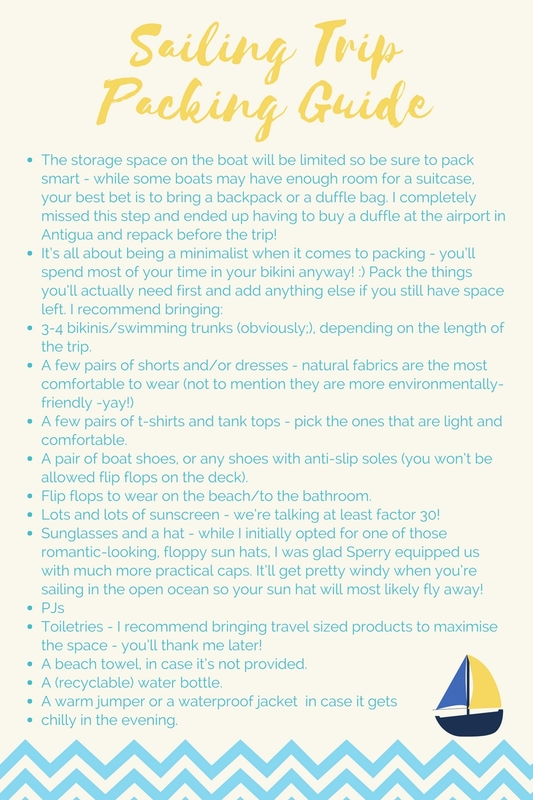 If you missed your chance to apply but are dreaming of a sailing adventure, then let me get you started with a mini sailing trip packing guide. Now, onto the fun part – the competition! 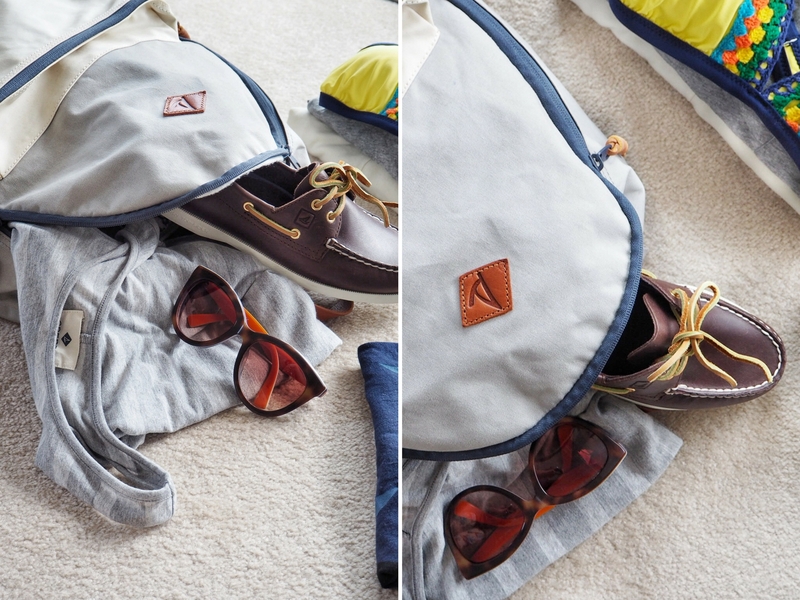 Thanks to Sperry, you will have the chance to win a backpack filled with amazing goodies, perfect for a sailing adventure, similar to the one in the photos – from their iconic boat shoes, gorgeous bikinis to a collection of unbelievably soft T-shirts! To enter, simply subscribe to my blog and leave a comment under this post explaining how you’ll try to fight plastic pollution! A little disclaimer: the competition is open in the UK; the products are subject to availability and may hence differ from the items in the photo. You can sill enter if you’re based abroad, providing we can deliver your goodies to a UK address! Happy sailing and good luck! I’m actively not using plastic bags, so I always carry a cotton bag with me if I find something I want to buy or when I go to the market. I’m also using natural soaps that are sold without plastic packaging and use a metal tin when I travel. Whenever possible I buy food in glass containers and not those in plastic packaging. And of course not using any facial peelings with micro plastics. I simply use a natural sponge to clean my face! Would love the amazing goodies!! This is such a great and informative article. I like the way you inspire people with this creative piece of work and create awareness about pollution because of plastic usage. It is always a good idea to collaborate with authentic brands and organisations like Sperry and Pangea Exploration. I am a research student in life sciences and I am always reading a lot of articles about disadvantages of plastic usage. Especially when it comes to areas covering water bodies (as you mentioned in this article). I feel there is a lack of knowledge about chemical hazards of plastics especially in rural areas (I am from India and lived in a village for quite sometime). But It is really shocking to see that people who are educated enough about this topic are more careless. I might be sounding more like a researcher now 😛 but I always try to keep in mind that I use minimum plastic stuffs. For example, I keep a small folding cloth bag in my backpack and my office cabinet. I use the same bag for grocery shopping. It helps me to avoid plastic polybags in supermarkets. Also, I use a lot of steel containers to store grains and food items as it is very common in India. I am living in germany at the moment. And the best part about this country is you get money refund for the used plastic bottles in supermarkets or even using automatic machines. This really helps us to recycle plastics instead of just throwing them anywhere if we ever use them at all. Also I mostly cook at home and I do not like packaged food. This helps me to avoid buying plastic boxes. I like to have fresh juices instead of buying juices full of preservatives and chemicals stored in plastic bottles. They are unhealthy and contains some level of toxicity too. I hope this helps someone who reads this article and comments 🙂 Looking forward to win such exciting goodies bag. You are welcome. Thank you once again for Sharing this thought provoking article. Let’s make this world more clean and a beautiful place to live in. I’ve consciously avoided buying bottled water and i now carry a reusable water bottle with me at all times, I’ve also switched to a cotton tote to carry any souvenir shopping or groceries with me when i travel and instead of buying juice in plastic bottles, i buy some fresh-squeezed juice or simply eat fresh fruit from local community markets. Thanks so much for contributing to the discussion – I love the freshly squeezed juice tip. Small things can go a long way! This article is a great informative article. Just like you said the effort to keep our beaches pristine begins with us. We need to do more to raise awareness about plastic pollution. We need to have companies manage and use plastic much more wisely, and to receive recognition for doing so from both customers and investors. Your pictures are beautiful and you are a real inspiration. It’s great to read all the other comments and see what other people think – sometimes it feels like even the places I go to (especially the beaches near my hometown in the North East of the UK) are full of plastic, everywhere I go it’s there!! It’s such a shame as people don’t realise how easy it is to live more sustainably. 2. I always try to buy loose veg/fruit at the supermarket as then you can choose not to use the plastic bags – I just stick the labels right on the produce. 3. As a teacher I encourage my students to buy reusable plastic water bottles and even help a competition a while back for the best decorated one to encourage them to be more interested. I started my own blog about a year ago – here’s hoping one day it’ll be as fab as yours! Keep it up and keep giving me life with your travels! So sad, people dont respect beaches, in Korea we have some people to clean everyday but the beach is less beautiful than your pictures. I was in Caribbean, but i didnt help, now i feel guilty, i have to come back. Thanks for sharing your experiences !